Just the mention of the word “violin” conjures up images of concert halls, famous violinists such as Yo-Yo Ma and Isaac Stern, and of course, the appeal and beauty of what is considered to be the best violin ever made – the Stradivarius. How could violins made today ever measure up? According to a recent study, today’s violins may demand as much respect as the classics have always garnered. Music lovers and musicians have long believed that old violins crafted by the masters were far superior to today’s modern instrument. How else could you possibly explain the million dollar price tag that accompanies a Stradivarius? Or the dreams young, struggling musicians have of one day owning their own? But conventional wisdom regarding the classic violins has been put into question recently, when a study conducted by an expert of violin acoustics at the University of Paris compared today’s high quality violins against the classics produced by legendary craftsmen. 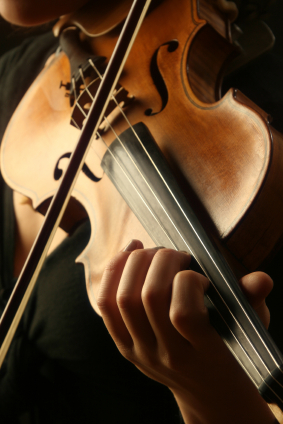 The result of the study (which was made public in early 2012) declared that in the end, there’s little to no difference when comparing the sound of a new, high quality violin to that of a classic instrument. How did researchers come to such a conclusion? For the study, acoustics expert Claudia Fritz and her colleagues conducted a blindfolded study of violinists to see if they could differentiate the old from the new. At an international competition held in Indianapolis, Indiana, Fritz and her fellow researchers asked blindfolded violinists to compare the sound of three high quality modern day instruments against two Stradivari and a Guarneri. The results of the study surprised many in the music world and prompted Fritz to declare the only difference between the classic and the new exists in the mind of the listener. “These results present a striking challenge to conventional wisdom,” said Dr. Fritz and her colleagues in an online report published by The Proceedings of the National Academy of Sciences. Only 8 of the 21 violinists chose the old violin as the one they’d like to own and take home. And in an old-to-new comparison, a new violin was preferred over the classic Stradivarius, which came in last. Critics of the study question the researchers’ conclusions, saying that the experiment took place in a hotel room, and not a concert hall – which is where the classic violin shows its real power. And then there’s the emotional connection a violinist has with his instrument – a consideration that can’t and shouldn’t be overlooked in any study, say classic enthusiasts. Still, the results of the University of Paris study is certainly good news for young or struggling musicians, who know that owning a Stradivarius is simply a day dream. Modern day violin makers can also take pride in their work, and know that to even the experts, their craft is comparable to that of the legendary craftsmen. Of course, doubters will always insist that a classic violin will always outperform today’s modern instrument – no matter what the research may indicate.